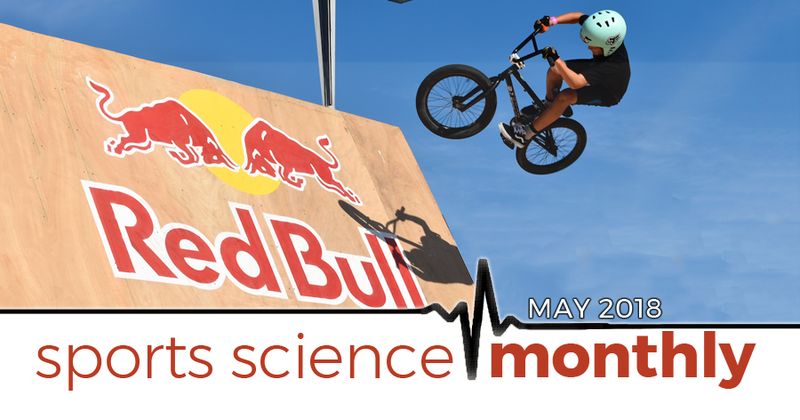 In the May edition of Sports Science Monthly we look at new research across a variety of areas including the latest research on caffeine, how genetics impact caffeine, pre-exercise stretching, recovery, muscular strength, and more. What is the best method of recovery? » Quick summary: It has long been known that caffeine is a performance enhancing substance, and many athletes use it as such. 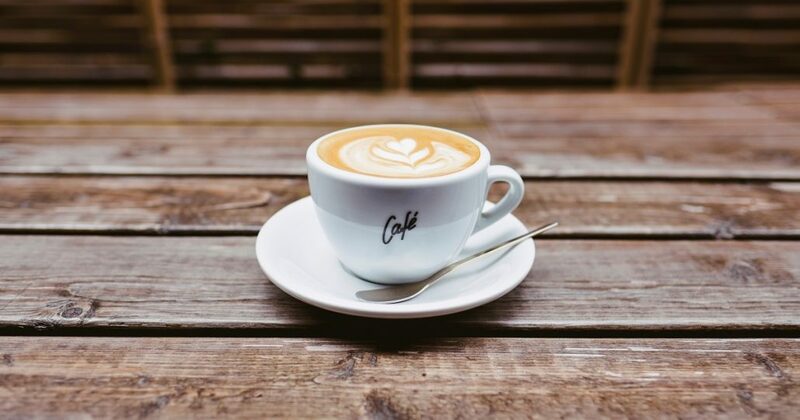 However, recent research suggests that those individuals with a specific version of a specific gene might find caffeine actually makes their performance worse – or is at best neutral – which is a potentially important finding. As many of you might be aware, one of my main areas of interest is caffeine, and its performance enhancing effects. My first ever scientific paper was on this topic, and I recently had another two under peer-review. I’ve also written a couple of articles exploring the use of caffeine in sport, which you can view here and here. I’m not the only person interested in caffeine research, however, and it appears to be many people’s favorite topic. As such, the research in this field is forever growing, and, over the last couple of months, some interesting bits of research have been released. First up, we have a study that focuses on the effect of a common polymorphism in a gene called CYP1A2, and its impact on how caffeine affects sports performance. CYP1A2 encodes for an enzyme which is responsible for around 95% of all caffeine metabolization within the body. If you have the AA version of this polymorphism, then you produce more of the enzyme, and as a result you metabolize caffeine faster than others; you’re classed as a fast metabolizer. In an early study, the first to explore CYP1A2 and caffeine’s ergogenic effects, it was seen that fast metabolizers exhibited a greater performance enhancing effect of caffeine compared to slow metabolizers. However, subsequent studies have shown no effect, or the opposite result. As a result, everyone is a bit confused as to what effect, if any, this polymorphism has on caffeine’s ergogenic effects. Here, the researchers recruited 101 male athletes to undertake exercise testing under three caffeine conditions; no caffeine, 2mg/kg, and 4mg/kg. The exercise tests used were vertical jump, handgrip, wingate, and 10-km cycling time. Only the results of the 10-km cycling time are reported here, which likely means that either there was no effect of this gene on the other tests, or the authors are holding it back for additional publications. Overall, 4mg/kg of caffeine improved the 10-km cycle time trial performance in subjects by around 3% compared to the placebo trial. However, this improvement was related to CYP1A2 genotype. The fast metabolizers (AA genotype) saw a performance enhancement of caffeine at both 2mg/kg (improved by 4.8%) and 4mg/kg (improved by 6.8%). The AC genotypes (slow metabolizers) saw no statistically significant effect of caffeine supplementation at either dose, although this must have been close at 4mg/kg, as they did actually improve by an average of 3.2%. The CC genotypes (really slow metabolizers) found that caffeine significantly harmed their time trial performance, making them 13.7% slower with 4mg/kg caffeine, with no effect of 2mg/kg of caffeine. Altogether, these results indicate that at least, at this dose, caffeine is performance enhancing for fast metabolizers, neutral for slow metabolizers, and performance worsening for really slow metabolizers . This begs an obvious question – what happens to these endurance athletes at 6mg/kg of caffeine? Well, we don’t know, because the researchers didn’t test it, and it’s a shame; 2mg/kg is considered a low dose of caffeine, whilst 4mg/kg is a moderate dose – it would have been nice to round out the study with a high dose (6mg/kg) of caffeine. We also don’t know whether taking the caffeine further away from performance – say, 90 minutes or longer – changes these results, which hopefully will be explored in the future. All in all, a very interesting study that enhances our knowledge in this area, but also raises additional questions. For now, I wouldn’t suggest that CC genotypes shouldn’t take caffeine, even though the findings from this study do seem to hint at that – but I would suggest they perhaps consume lower doses a greater period of time away from performance, such as 90 minutes before. Further replication of these results would be ideal, as it’s an interesting topic, with sadly insufficient studies upon which to base conclusions. The next article explores the impact of this CYP1A2 polymorphism on caffeine ingestion and resistance training. Here, the author put 30 resistance trained males through different trials, in a randomized, blinded order. In both trials, they underwent three sets of repetitions to failure at 85% 1RM on four different exercises; bench press, leg press, seated row, and shoulder press. Before one trial, they took 6mg/kg of caffeine (the dose missed out of the previous piece of research) 60 minutes beforehand; in the other, they consumed placebo. The results make for interesting reading. For all the exercises, caffeine had a performance enhancing effect – that is to say that it allowed a greater amount of reps to be completed prior to failure when compared to the placebo trial – only in AA genotypes. Those individuals with a C allele (so AC and CC genotypes) exhibited no performance enhancing effect of caffeine on performance, which is to say that their performance was similar in both the caffeine and placebo trials. Similar to the article looking at caffeine, CYP1A2 genotype, and endurance performance, we’re now at a cross-roads. Do we really believe that caffeine is a best neutral – and possibly harmful to performance – to C allele carriers? Or do we think that perhaps we need to further modify the dose and/or timing of caffeine ingestion for these individuals to best harness the positive effects of caffeine? It’s difficult to speculate, but certainly as an AC genotype who relies heavily on caffeine to enhance my performance, I hope that there is a way for caffeine to be effective for C allele carriers! Finally, the world-leading sports science and medicine journal Sports Medicine had a review article focused on alternative forms of caffeine ingestion within sport. This is an important and timely article given the recent interest in caffeinated gum and gel products, which represent an alternative method of caffeine ingestion alongside the more traditional tablet and liquid forms. Many of these alternative methods are quite poorly studied. For example, when looking at caffeinated bars and gels, only three studies have examined the ergogenic impact; one of bars, and two on gels. In the study focused on bars, the researchers put cyclists through a time-to-exhaustion protocol, finding that caffeinated bars improved time to exhaustion to a greater extent than placebo bars. Regarding the gels, again the results support that caffeine plus carbohydrate is better than carbohydrate alone. Together, we can see that bars and gels represent an effective means of utilizing the performance enhancing effects of caffeine, although it isn’t clear how these perform relative to the gold standard caffeine tablet/liquid ingestion. Of all the alternative caffeine ingestion strategies, caffeinated gum is perhaps the most popular. The pharmacokinetics of caffeine ingestion via this method are vastly different to from other caffeine ingestion strategies; from more traditional caffeine sources, it usually takes 20-30 minutes for caffeine to leave the gut and reach the central nervous system. Caffeine from gum, however, is absorbed via the buccal mucosa in the mouth, and as such reaches the blood stream much quicker. As a result, it has proven very popular in settings where a caffeine hit is required very quickly, such as in the military, where the use of caffeine gum was pioneered. Peak caffeine concentration occurs between 45 and 80 minutes with gum, compared to 80-120 minutes with caffeine capsules. Caffeinated gum, therefore, represents a promising strategy for a rapid realization of caffeine’s benefits. But what does the evidence show us? Regarding aerobic endurance, a caffeine dose 200mg from gum elicited no improvements in time to exhaustion. In contrast, a dose of 300mg has been seen to enhance performance, again in a cycle test, relative to placebo. There isn’t much research on caffeine gum and repeated sprint performance – just two studies – but both show that caffeine gum mitigates the decline in performance seen with fatigue. Following on from the caffeine gum studies, given the mechanism by which caffeine gum works (quicker absorption via the buccal membrane), the logical next step is to explore what happens if you rinse your mouth with a caffeine-based solution – does this also enhance performance? Although poorly studied, it appears that such a process doesn’t impact caffeine concentrations in the blood – i.e. caffeine is poorly absorbed when used in a mouth-rinse scenario. That’s not to say it isn’t performance enhancing, though. The mouth contains plenty of bitter taste receptors, which are activated when exposed to caffeine. We know that activation of these bitter taste receptors can stimulate the brain, most famously in a study where quinine, a major ingredient in tonic water, was shown to enhance performance. As a result, it appears logical that caffeine utilized in this way could enhance performance without actual ingestion, although we need more research to explore this. However, the studies that are available appear to suggest that a caffeine rinse improves performance in short duration, high-intensity repeated sprints, but not aerobic performance, demonstrating that the ergogenic effects are perhaps short lasting. Finally, there are now some caffeine nasal sprays, which deliver caffeine into the nasal cavity, allowing for rapid crossing of the thin nasal epithelium and a fast effect on the CNS. Again, this is somewhat poorly studied, with only one exploring an exercise setting. Here, it was seen that the caffeine nasal spray had no effect – positive or negative – on a test of endurance, in this case a thirty minute cycle time trial. All in all, when it comes to alternative methods of administration, the most promising is caffeine gum , which on the whole appears to be effective – at least at higher doses – followed by caffeine bars/gels. There isn’t really enough evidence to support the use of caffeinated nasal sprays or mouth rinses as of yet, but further research will no doubt explore this area further in the future. I’ve explored three recent papers that expand our knowledge on caffeine utilization in sport. The first gave us some insights for interpreting research findings around caffeine and anaerobic performance, where the jury is still out. The second showed us that genotype can modify the ergogenic effects of caffeine on endurance performance, and the third explored newer methods of caffeine intake, some of which show promise, and indeed are in use at present, and others which require further research to fully understand their effects.